Immediately following the 2018 Philip Island Classic, the build and preparation of the bikes for 2019 got underway. Larry Cook's talents were engaged for engine development and build, Denis Curtis put his considerable knowledge and skills together in building the chassis for the race bikes and Ralph Hudson is providing one of his bikes to round out the mix. The goal is to engineer the most reliable bikes while keeping them as close to identical in build as possible. 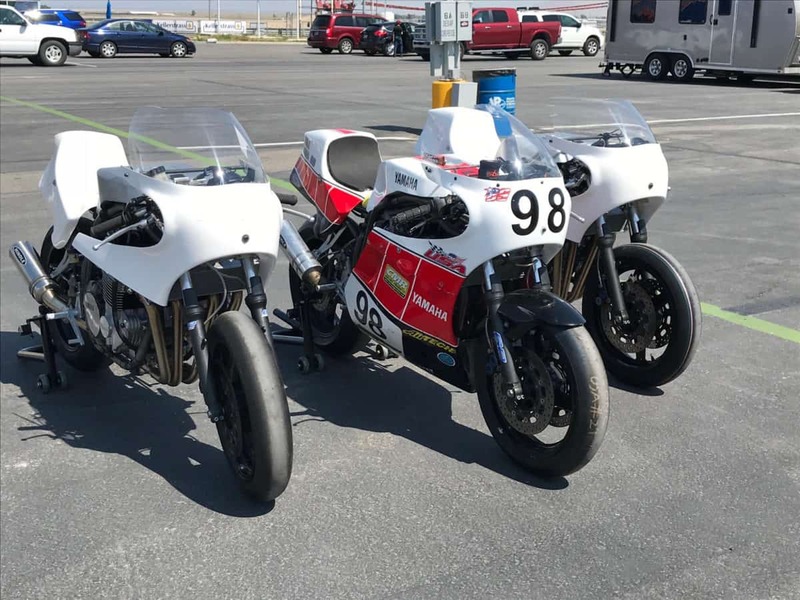 For 2019, we have five (5) CMR/FJs (two of which are new) and two TZ750s which were also run this year (2018) for the International Challenge. These Yamahas have proven to be the best possible fit for Mojo Yamaha and should offer the most competitive advantage in our quest to win the 2019 Philip Island Classic International Challenge. 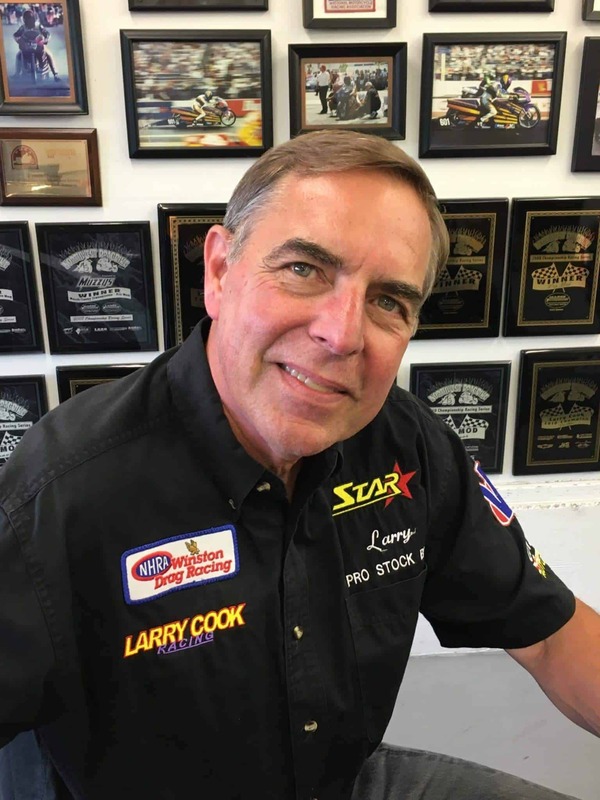 Larry Cook of Larry Cook Racing has been involved in the race industry for over 35 years. Larry started his race career running the IDBA, NMRA and Dragbike race circuits competing with Vance & Hines, John Meyers, Dave Schultz and the other early pioneers of motorcycle drag racing. He has raced, worked as a Crew Chief, coached riders and developed race teams throughout his career. Most of his work has been designing and building high performance race engines for various race applications. 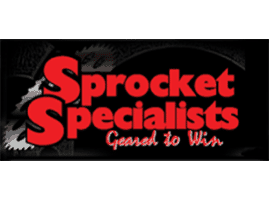 These include Pro Stock Bikes, Pro Mod Bikes, Funny Bikes, Drag Bikes, Road Race Bikes, Dwarf and Legend cars, Sand Rails and Sand Quads. 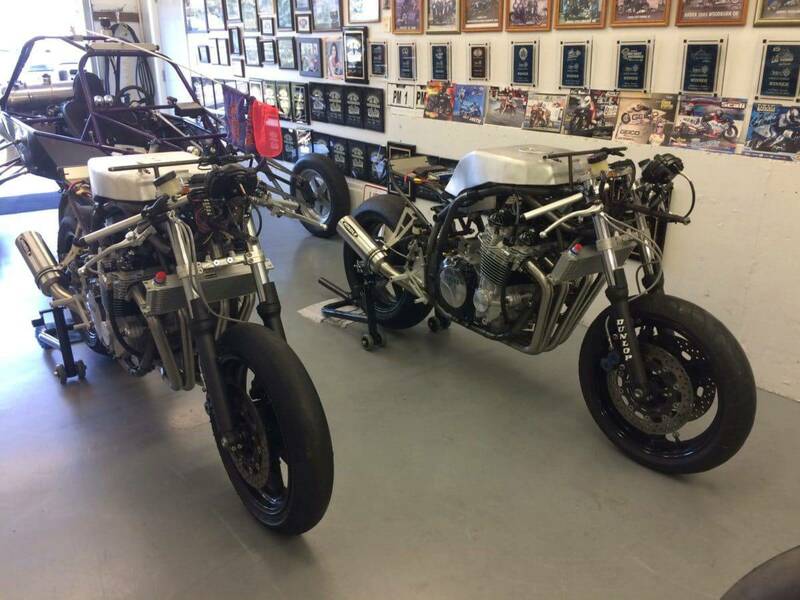 He also worked with Kerker on their Bonneville and Road Race projects in the past. Larry has been fortunate enough to have set many records and won several championships throughout his years of engine design and building. 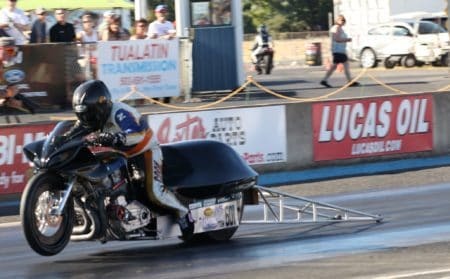 He is currently the NWDB (Northwest Dragbike) Pro Open champion, running over 200 mph in 6 seconds. While Larry himself has held several championships and records, most of the records and championships were achieved by other race teams running Larry Cook Racing engines. 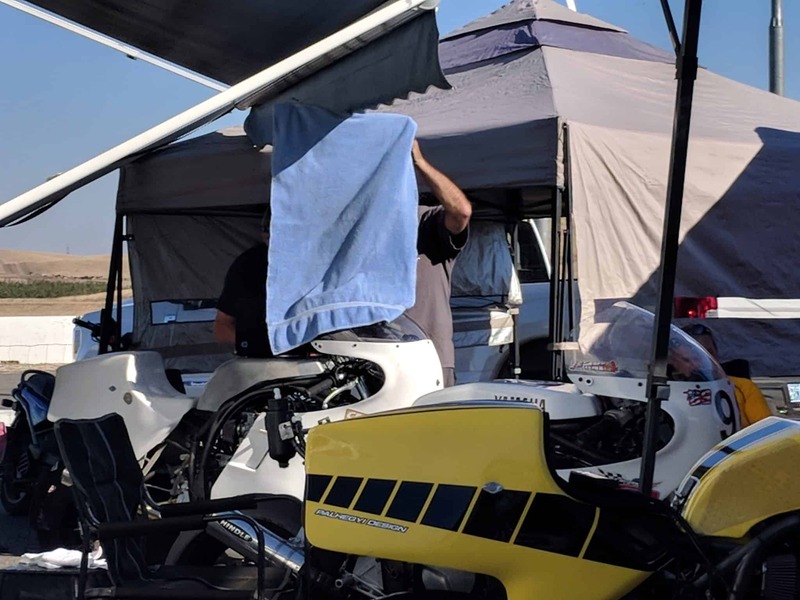 NHRA Worked with Star Racing Team supporting 3X Pro Stock Bike champion John Meyers & 3X Pro Stock Bike champion Angelle Sampey. 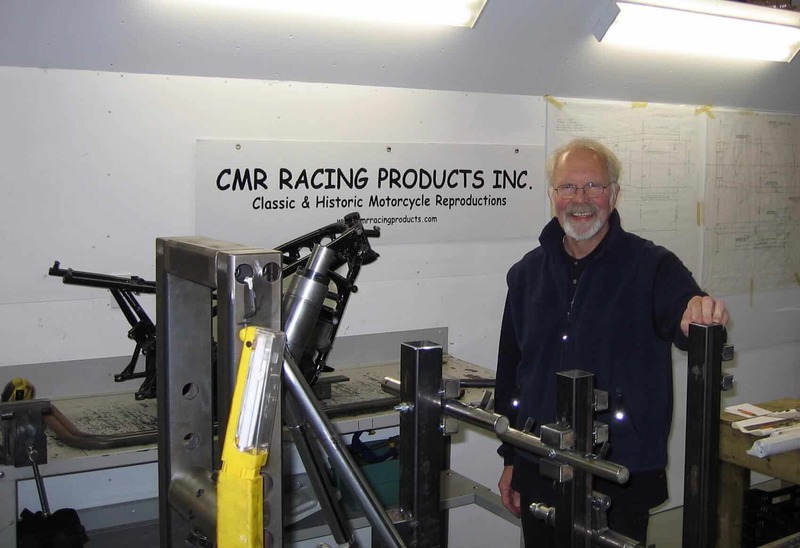 Denis Curtis, CMR Racing Products, Inc.
Denis Curtis is the founder and owner of CMR RACING PRODUCTS INC.
CMR has been building updated versions of many classic and historic road racing bikes from the 70’s, 80’s and 90’s since 2006. To date they have built almost 400 frame kits, for customers around the world from Norway to New Zealand. 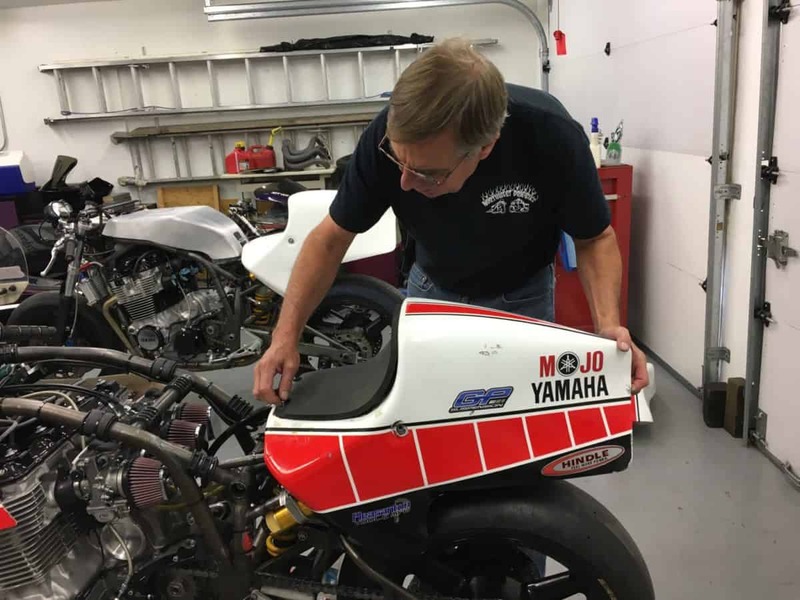 Denis has a small manufacturing shop in Trenton Ontario Canada, where he and his associate Byron Cox build all the steel tube frame kits and aluminum fuel tanks and seats for some 23 different GP race bike replicas. They also rebuild original GP race frames and tanks when time permits. 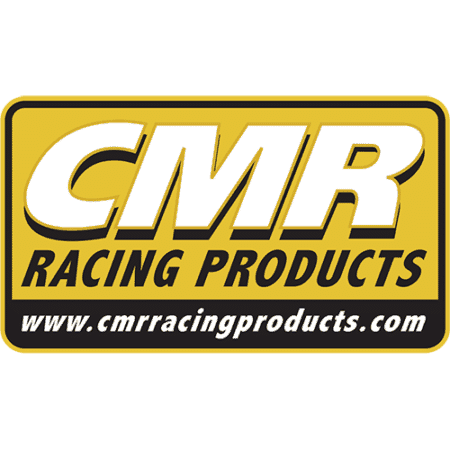 CMR uses only 4130 Aircraft Specification Chrome-Moly steel tubing, made in the USA, and TIG welds the frame tubes together. They build the fuel and oil tanks from US made 3003 marine grade aluminum, and these are TIG welded also. 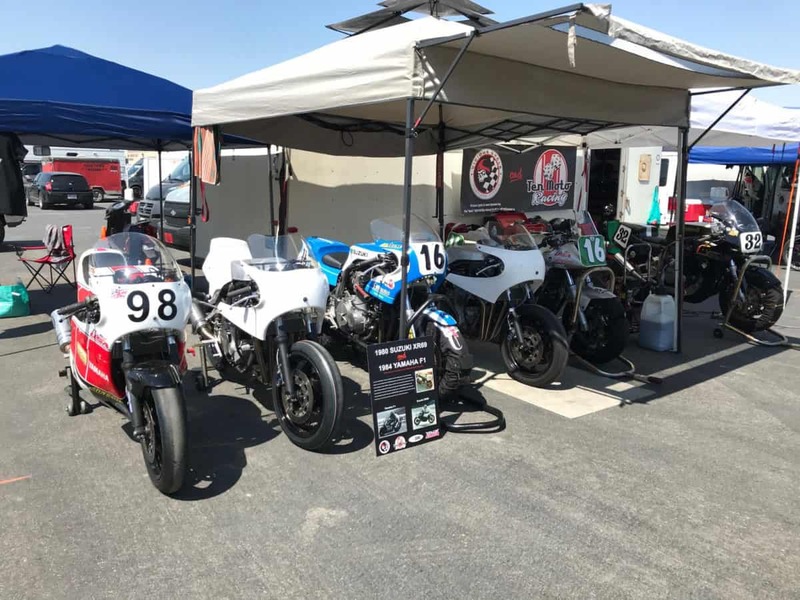 Tire technology has changed since the 70s and radial designs with new super sticky compounds for motorcycle road racing have become the norm. 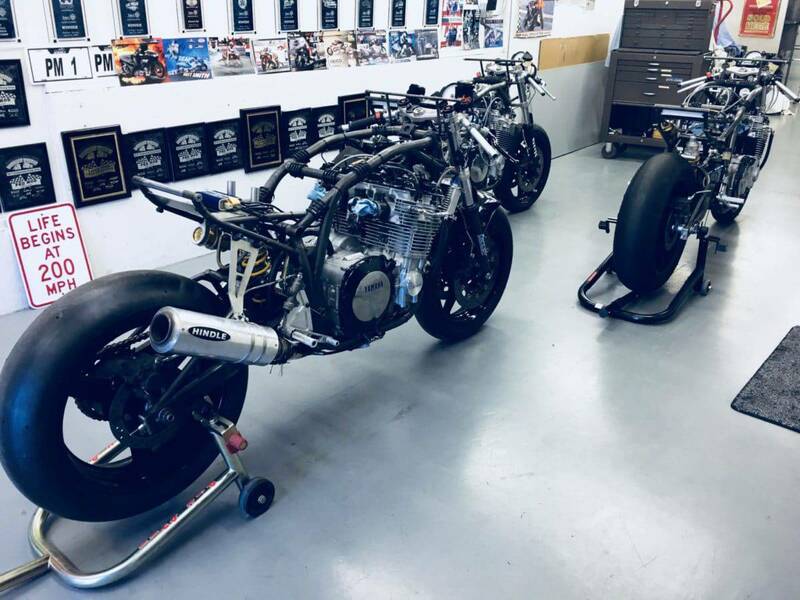 Denis works with Ohlins Racing USA tech guru Jon Cornwell, and Jeff Laidman, designer of MotoSPEC chassis development software (used by Öhlins Racing International), to update the frame geometry of his products. 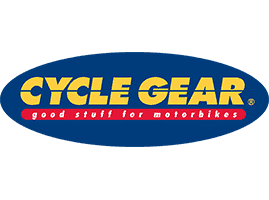 This has enabled CMR customers to achieve some great results, particularly with the US Classic Motorcycle Road Racing Team in Australia. 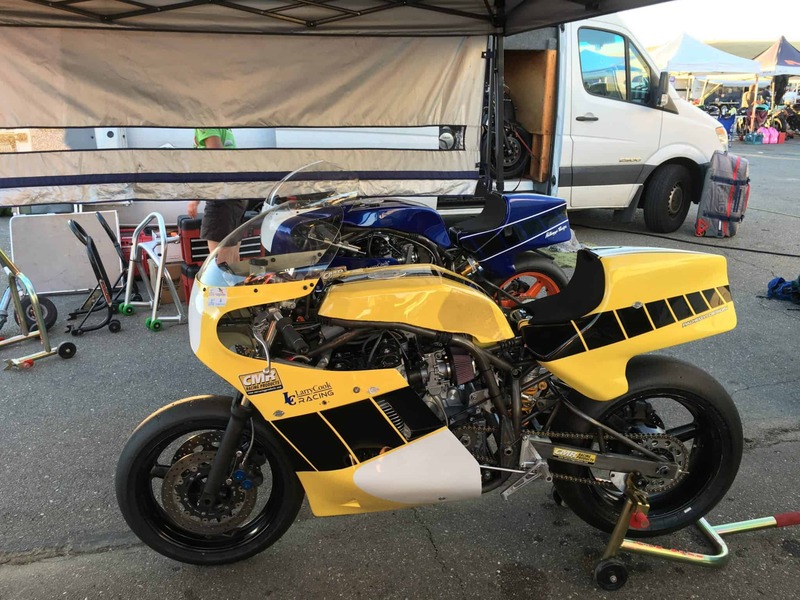 In 2015 the US Team purchased five F1-XR69 frame and fuel tank kits from CMR to compete in the Phillip Island “International Challenge” races of 2016. They were competing against 4 other International Teams. In 2016 and again in 2017 they placed third overall. 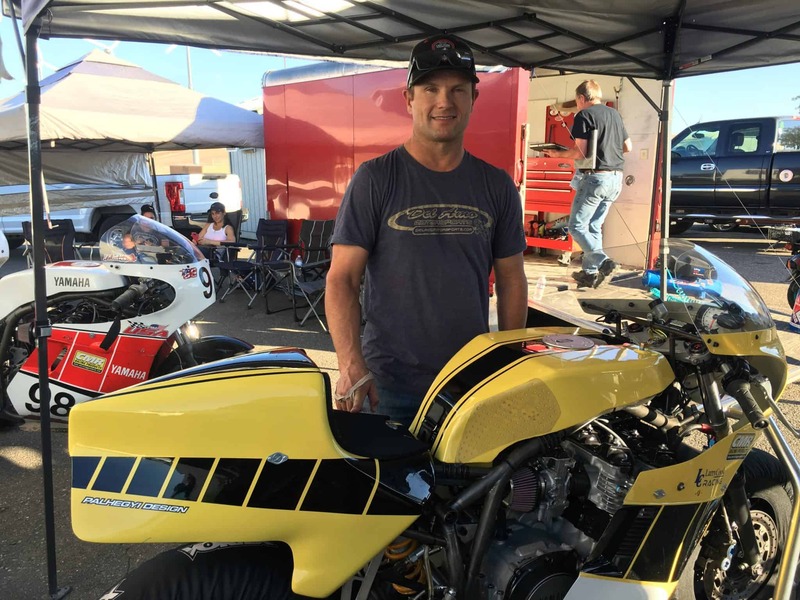 For 2018 Team USA’s Jason Pridmore, Colin Edwards, Jake Zemke and Barrett Long came very close to the track lap record, but all suffered engine problems. Another third place overall. 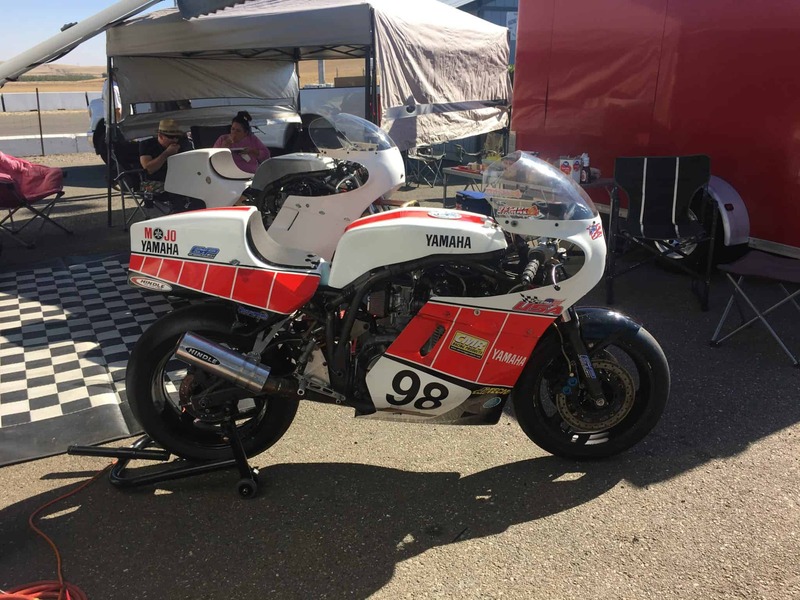 Jeremy McWilliams ex TT Champion spoke with Denis during the races and said he felt the CMR framed Team USA Pridmore bike was handling better than his own Team UK bike. He had followed closely behind Jason for quite a few laps. 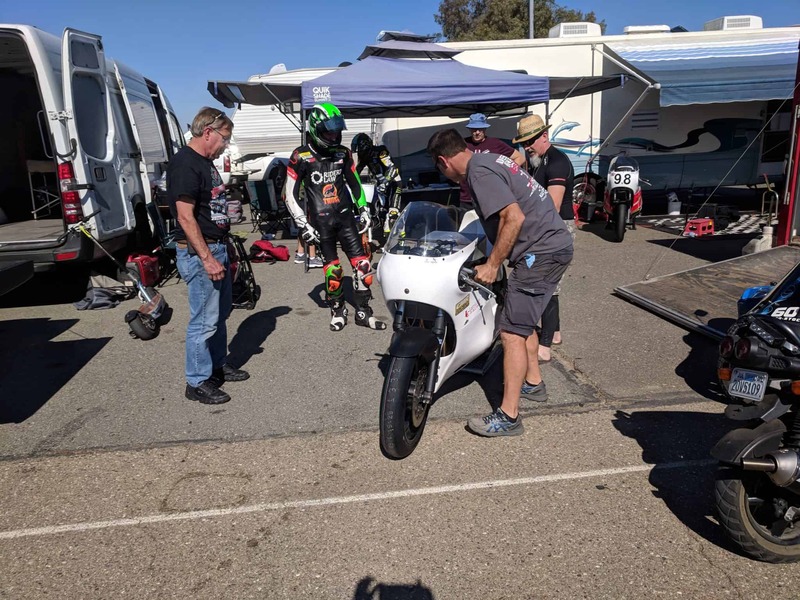 Jason complimented Denis on how well his CMR framed bike handled and promised to return in 2019 with better engines. 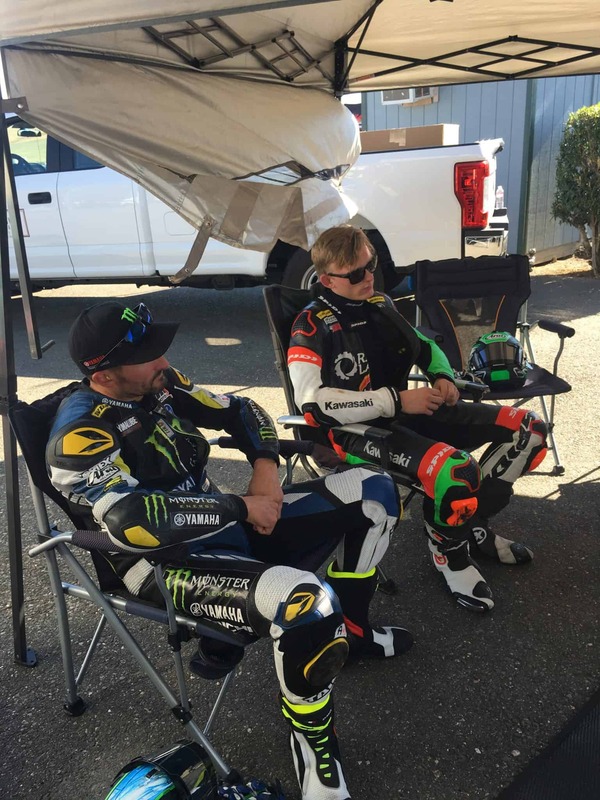 For 2019 CMR has supplied additional frame kits for Team USA, and together with Dave Crussell and Mojo Yamaha, will be helping them achieve their goal of a ‘Top of the Podium’ result in January 2019 at the International Challenge Races at Phillip Island in Australia. By reading the bio on the CMR Racing Products website www.cmrracingproducts.com you can find out where Denis’s interest in building road racing motorcycle frames started in the 1960s UK. You will also find information about Denis’s engineering qualifications, training and experience. How far Denis Curtis and CMR Racing have come! Ralph Hudson started riding motorcycles in his youth, and during his last year in high school, in 1969, he opened a Kawasaki shop and drag raced a 500 two-stroke triple. 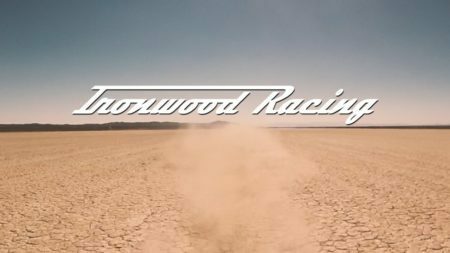 He first went to Bonneville two-years later and took three records. “I thought it was easy! My best speed was 131 mph.” he recalls. In August of 2018 USA-based oil company Top 1 planned the support of an attempt by Mike Akatiff’s Ack Attack team to raise the streamliner two-wheel record above 400mph, and identified the salt lake at Uyuni where more than 15 miles of pristine salt was available. Hudson was delighted to be invited with four other racers to join the group, seeing it as the best opportunity to go even faster with better salt conditions. The wheels must be visible for 180 degrees of the circumference at the front and 135 degrees at the rear. The fin mustn’t be higher than 150mm above the seat base and 400mm behind the rear tyre. The rider must also be visible from both sides and above, apart from the hands and forearms, without using transparent body work. 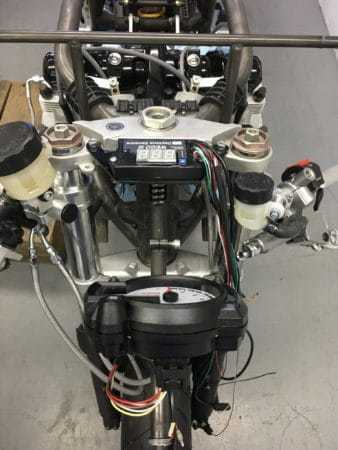 For the record attempts, the FIM also requires that two runs be made in opposite directions over the measured mile within two hours, an average of the two figures being used. His best run included a speed of 289, but slightly slower on the return, resulting in an average of 284.361mph. 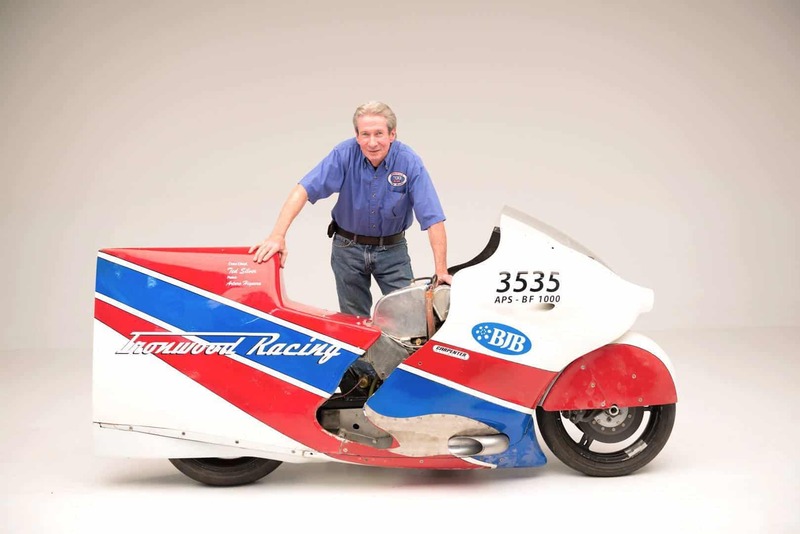 Ralph had the 284.361mph record approved at the FIM awards presented in Andorra on November 27. Ralph returns to the salt flats at Uyuni in July of this year (2019)! We will see what records he achieves this time. Hudson’s speed, which was ratified as a world record by the FIM, was achieved on the world’s largest salt lake, in Bolivia, 12,000 feet up in the Andes, during the Top 1 Top of the World Speed Trials. 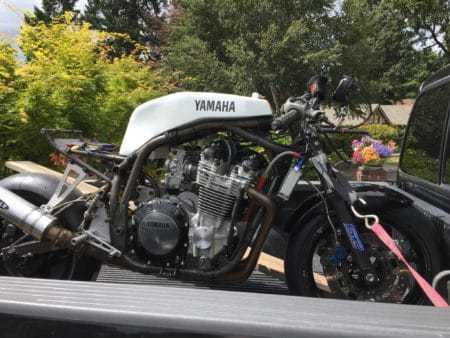 It was the culmination of almost a decade of development of his Suzuki by Hudson, the boss of a Hollywood firm that fabricates mechanical props and effects, mostly for museums and theme parks. Ralph Hudson joined the Mojo Yamaha team in 2018 when Jason Pridmore rode his CMR/FJ in the Philip Island Classic International Challenge. We look forward to his joining us again in 2019.  After the success of 2018, Mojo Yamaha immediately began planning and development for 2019. 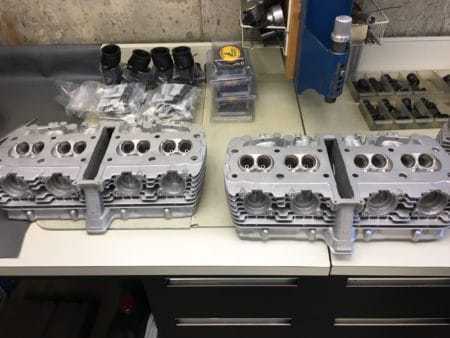 This included diagnosing the two engine failures from 2018 and rebuilding those engines. 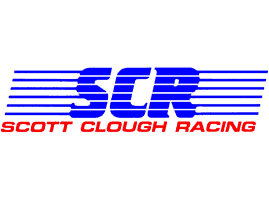 Two new chassis from Denis Curtis at CMR racing, and new engine builds with Larry Cook. Dave Crussell took the role of sourcing all of the other parts to build the bikes including cranks, cylinders, forks, wheels, brakes, controls, bodywork and carbs. 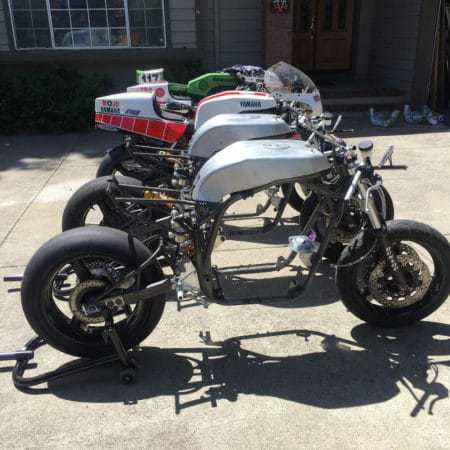 The goal to keep all of the bikes to the same spec to have a reasonable set of spares. 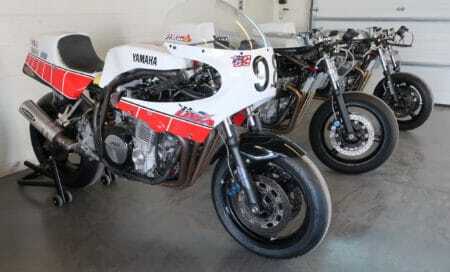 Denis Curtis/CMR had responsibliy for the chassis, engine mounts, Ohlin’s shocks and Hindle exhausts. 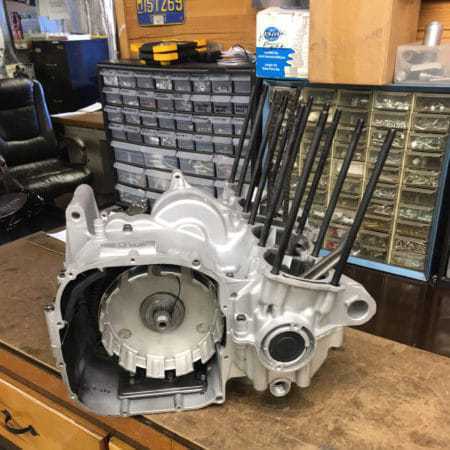 Larry Cook had responsibility for the engine builds, case machining, piston and camshaft sourcing, engine testing and making a pile of parts into an operating race bike. 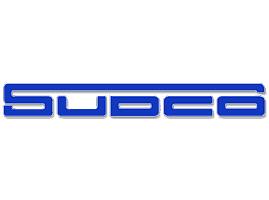 To view as a side show, click on any image. To exit back to the page, press [esc] key. 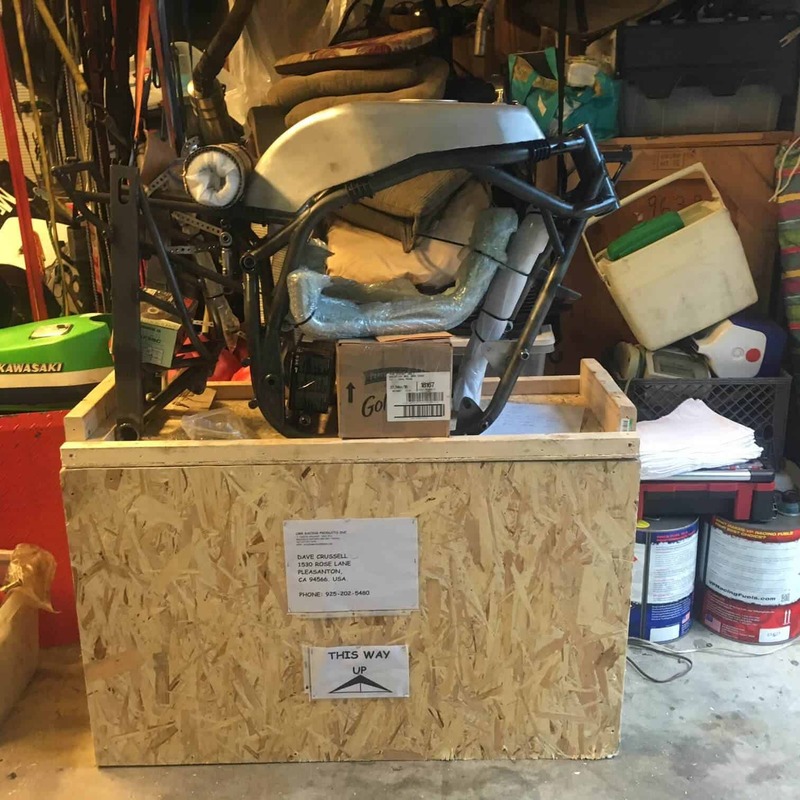 Denis Curtis delivered two of his fine chassis to a very tight timeline, one frame uncrated the other still boxed. 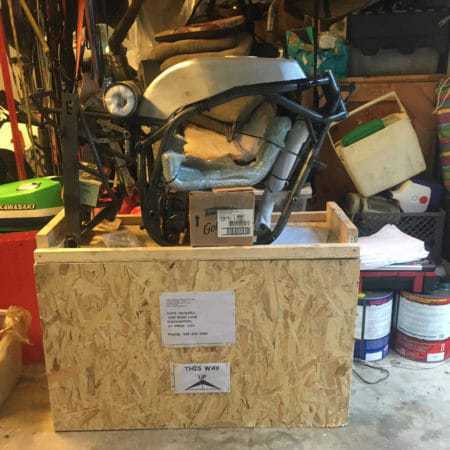 Dave had been busy ordering and staging all of the rolling chassis part in advance of the delivery from Denis. 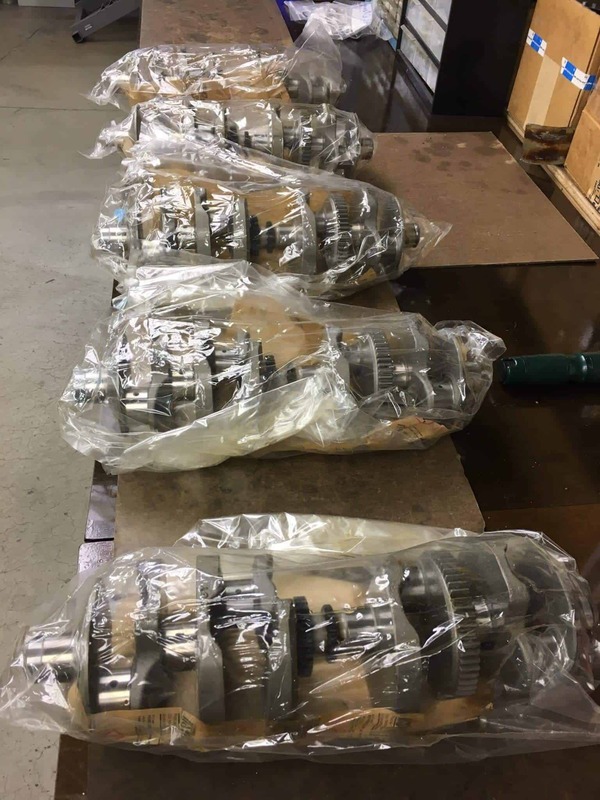 Here you see them laid out and ready to assemble. 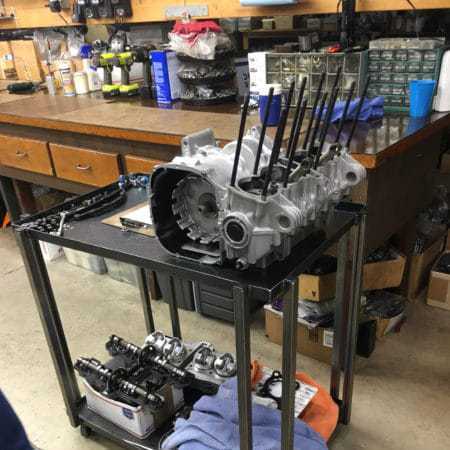 After a long weekend Mike Studzinski of M-Factory West and Dave completed the assembly of the two new rolling chassis. 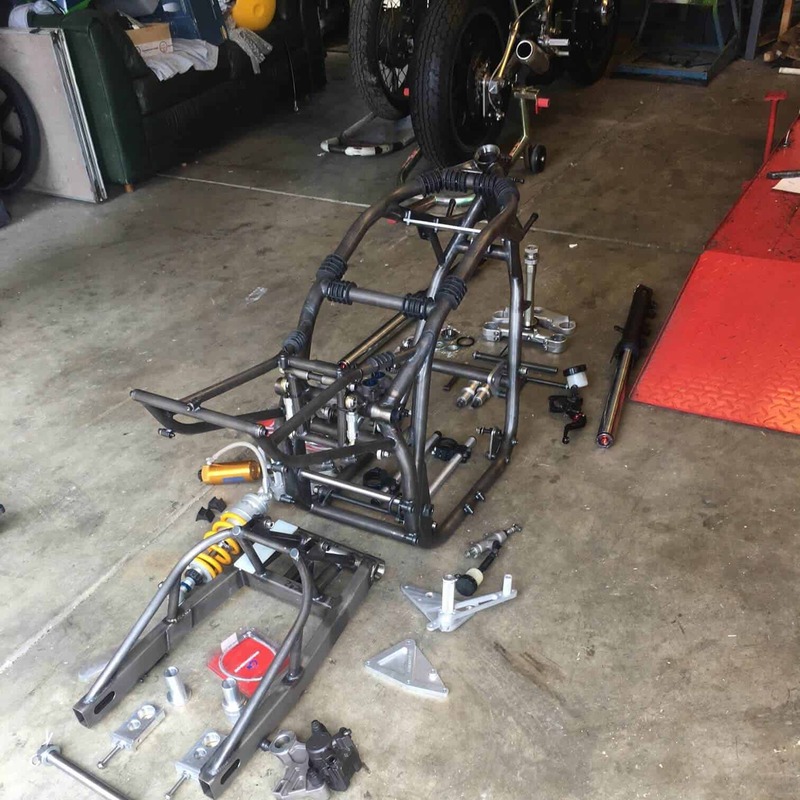 Although Denis does an excellent job in preparing his frame kits so they bolt together, there are always a few minor tweaks where Mike needed to fill in the gaps. The weekend after this build Mike and Dave drove to Portland to deliver the rollers to Larry Cook. Prior to the trip to Portland, Dave had already sourced the cores for the new engines and cranks. Larry had been busy, here you see the bottom end assembled for one engine. And for a second. Larry had decided to name each of the engines after Star Wars characters, Yoda (original engine), C-3PO, R2-D2 and the spare BB-8. He had also been very busy with the heads, each one of these taking many hours to, as Larry describes it, lighten them up. 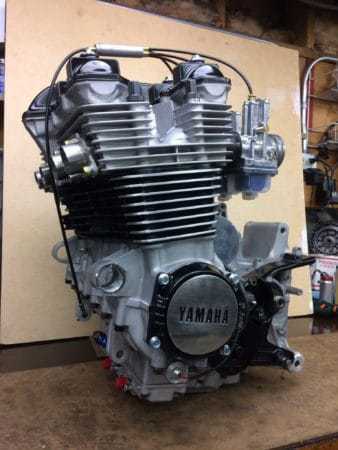 The porting on the heads leverages the many years and decades of experience Larry has with big Jap four strokes. One completed engine ready to be installed, WOW she is a beauty!! Love the LC Racer logo on the cover!!! With one bike successfully dyno’ed and the choice of carbs made, attention then went onto the other two bikes. 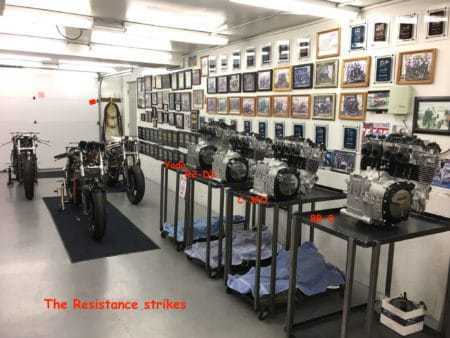 Here you can see all three bikes with the engines installed and the controls hooked up. They are now getting wired and plumbed. And from the other side. Ignitions have been installed as well as the tach and Wego for testing. For basic bike, still quite a lot of loom. Here is the cockpit view of the wiring work. 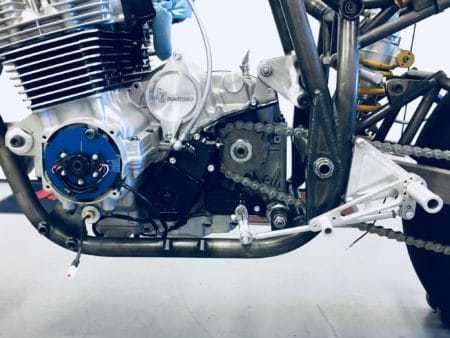 Dyna ignition in place, M-Factory West footrest hangers and the nicely branded LC (Larry Cook) racing engine. Larry is making tremendous progress, here are CMR FJ's #3 and #4 assembled and ready for dyno testing. And they tested well! 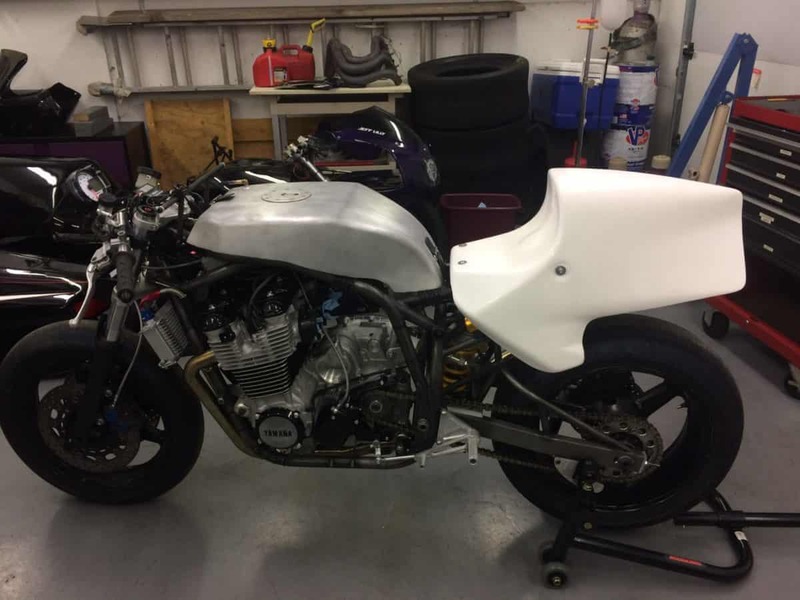 The build is now coming down to the details, oil catch tanks and battery/ignition boxes in place and the seats going onto the new bikes. And Jake's 2018 bike after the same wiring changes also gets it seat back in place. Last few finishing parts going into place before the bikes head to Utah. Right on schedule. Larry completes the build and the rebuild of the three identical CMR FJs. Next stop, track testing at Utah Motorsports. The rear view of the bikes may be the only thing the opposition sees. Big thank you Larry! Three bikes at Miller delivered from Larry requiring a little prep to be ready for the track. Mike Studzinski (M Factory West) and Jeff Moyer are on the job. The bikes are staged with the other PI Challenge bikes from Joe Weir and Joe Pethoud. Three Mojo Yamaha bikes are all for testing. Unfortunately Dave was detained by UK Doctors after his Isle of Man accident. We completed our first test day at Thunderhill, big thanks to Zoom Zoom track days for accommodating us. 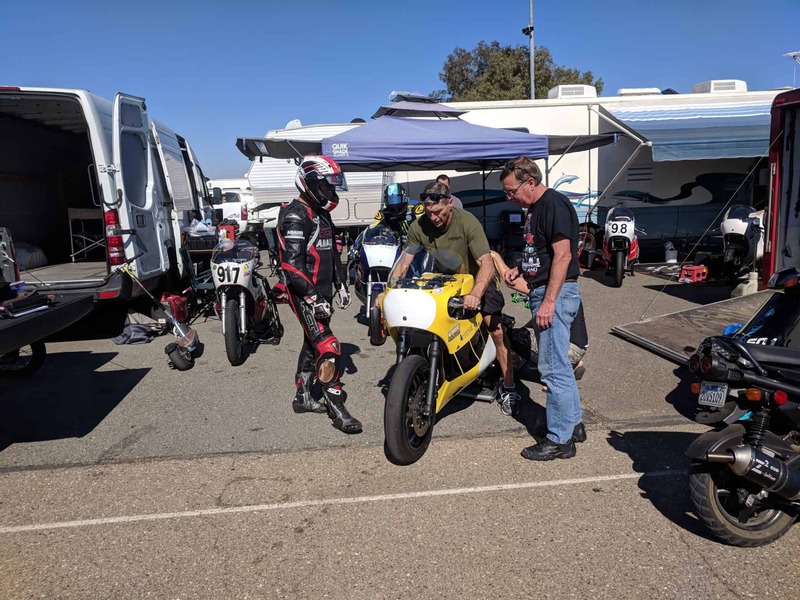 It was not the most successful day, but we produced our punch list for changes to each bike based on the rider feedback. Biggest issue was engine temperature, due to regulation changes on fuel, we were track testing for the first time on Australia race gas and it made the engines very hot. Good time to figure that one out. Jakes’s bike and bike number 4 ready for the testing. Josh and Andrew keeping in the shade. 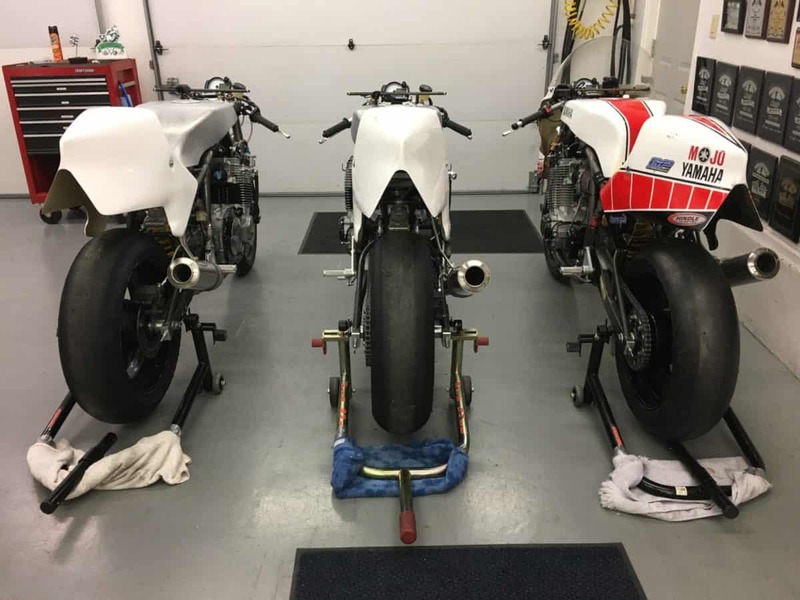 Josh Hayes and Steve Rapp’s bikes, painted up and looking good. The bikes and riders caused quite stir at the track day. Joining the queue for the roller starters. Jerry this time starting the bike with Larry supervising. 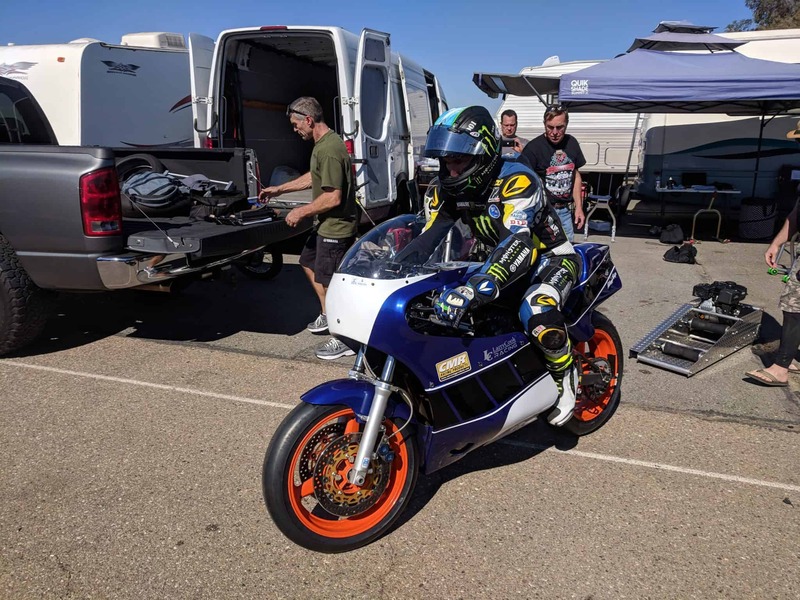 Josh Hayes heads to the track, first feedback “These old bikes vibraaaaaaaaate”. What’s going on Larry? It’s a secret. Larry finds some shade for downloading the data loggers.